Leduc Physio - Physical Therapy and Massage Therapy ServicesPhysiotherapyKinesiologyWe Love Leduc! Leduc Physio loves being a part of the Leduc community! We celebrated our 15 year anniversary in Leduc this year surrounded by our awesome friends and clients! We would like to say a big THANK YOU to everyone who made our 15 years so wonderful, and to the City of Leduc which supports and celebrates small businesses like us! We have compiled a list of the things we like best about Leduc, take a peek and let us know what you like best too! Leduc Physio sees so many different types of clients. Although Leduc is mainly composed of young adults and new families, we see just about every age at our clinic. This means our physiotherapists, massage therapists, kinesiologist, and pelvic health physiotherapist are never standing still. They see everything from sports injuries, chronic pain, new pain, soft-tissue damage, fractures, post-surgical recovery, regular maintenance, and much more. We are always excited to take on a new day helping people get back to moving their best! Leduc Physio offers many types of therapies and treatments, check our website or shoot us an email to see if we can help you. Healthy Community, with Active Options for all Ages. For a smaller city, Leduc has so many opportunities to keep everyone moving and healthy. The Leduc Recreation Center boasts a newly-refurbished swimming pool, hockey arenas, indoor fields and courts, a walking track, and a fitness center with many different drop in classes! Not to mention the number of beautiful parks and trails throughout the city, and the outdoor fields, pitches, and water sports! Leduc is also home to numerous health and fitness businesses like 9-Round kickboxing, SNAP fitness, and the new Aurora Yoga and Spa! Even the City of Leduc organizes programming for athletic competitions such as the Alberta Winter Games. So whether you are into pickle-ball, baseball, curling, or just being outdoors… Leduc has what you are looking for and it’s right outside your front door! Aside from a large sporting community, Leduc has an amazing arts and culture scene! Art walks, music festivals, free concerts, theater, drama, and paint nights all stimulate your creative side. Individuals and businesses are able to enjoy themselves, learn something new, and foster outside-the-box thought. It brings a little something extra to do on your down time, spend time with your families out and about in our great city. We love getting out and about in our awesome city summertime or winter, meeting and making new friends. Leduc Physio was named Most Professional Services of the Year award by the Leduc Chamber of Commerce for 2016. As a small business we know it is important to always continue learning, and that we can’t be experts in everything! So over our 15 years, we have made lasting connections with other small businesses in Leduc to provide our clients with the best care possible. Leduc’s business sector is primarily composed of small businesses who work together so well. Small business collaboration and cooperation makes for a positive community environment, and encourages individuals in our community to follow suit. Last but certainly not least; Leduc and its members are dedicated to doing good. 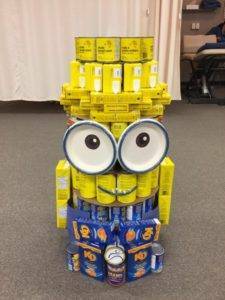 Our community (businesses and individuals) make a point of over-providing for food drives and fundraisers. Individuals and families never fail to demonstrate their support by showing up and offering to volunteer, and businesses make a point of offering free or discounted options so everyone can enjoy our awesome city! 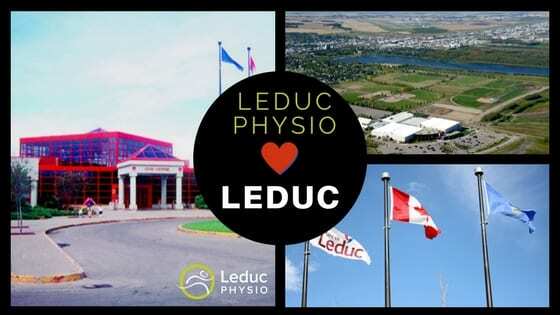 It proves to a small business like Leduc Physio that we can all make a difference in our community, and that Leduc makes big changes in many small ways. We look forward to at least another 15 years of working in our amazing city! Thanks again for your continued support, trust, and business. What is your favorite part about living/working in Leduc?